Well, Those Sentences Are More Appropriate Than the Ones They Got! Admin Error Sends Bradley Manning to Death Row, Nidal Hasan to Gender Reassignment Surgery. Here in Lexington, the minds of the locals are turning to football. Not only is the NFL season about to begin, but the University of Kentucky will have its first game of the season tomorrow. They will be playing Western Kentucky University, so it’s a local rivalry, though not as big as the rivalry between UK and the University of Louisville. Even more important, this will be the first game since Mark Stoops became UK’s football coach (see my message from November 28, 2012), so this will be our first chance to see what he can do. In the end we resorted to an old-fashioned tool – the good old fly swatter. Leive claims to have killed fifteen flies with it yesterday, and at least half a dozen today. Currently my best hope is that the flies won’t buzz around so much after this current heat wave ends. Just what does the president mean by “therapeutic bombing?” What is the difference between that and regular bombing? Moreover, it doesn’t look like we’re going to commit any ground troops, or even fighters and bombers. Warfare is an all-or-nothing deal; if you want to win, you throw in everything you’ve got. What I’ve seen so far looks too much like observance of the Liberal Rules of War. It also sounds like the campaign in Kosovo; although we won that with just air strikes, we found out later that we had done the Serbs dirty. Speaking of making mistakes, so far the current administration has picked the wrong side in Iran, Egypt, Libya and Israel. Does anybody think Obama and company have improved their batting average? From what I can see, there are no good guys in Syria. The younger Assad isn’t the brightest bulb in the chandelier, if you know what I mean, and if there is a head of state who needs killing, it’s him. On the other hand, any side Al Qaeda supports automatically becomes the greater of two evils. I say we sit this one out and let them kill each other. Then if we have to go in there later, we will only have one set of bad guys to deal with, and if they fight to the last man, so much the better. 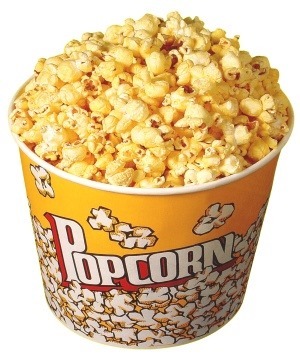 Anybody got some popcorn? 15 And Elisha said to him, “Take a bow and some arrows.” So he took himself a bow and some arrows. 16 Then he said to the king of Israel, “Put your hand on the bow.” So he put his hand on it, and Elisha put his hands on the king’s hands. 18 Then he said, “Take the arrows”; so he took them. And he said to the king of Israel, “Strike the ground”; so he struck three times, and stopped. 20 Then Elisha died, and they buried him. Is Obama about to repeat the story, by striking Syria only halfheartedly? Now that it is the last week of August, the temperature has been creeping upward, so that we’re finally getting the hot summertime weather we missed the rest of the month. The rain stopped two weeks ago, too, so maybe the rainy season we’ve been having is now over. For three days in a row, the high temperature was 88 degrees, and then yesterday it was 90. The forecast calls for more of the same until September begins: 90-91 degrees each day, with little chance of rain. Just for fun, last Monday I checked the weather for Black Rock City, NV. This is the only time of the year when anyone would want to know what the weather is like there – because of the Burning Man festival. Well, for the whole week they are expecting highs in the 80s, and lows in the 40s; on one night it could get down to 39! Normally for Burning Man, the temperature on the Playa is above 100, encouraging everyone to go around semi-naked, but now those poor folks will have to bundle up! What a change from when I went to Las Vegas at this time in 2009, and I burned my right foot walking outside, even with dress shoes on. The most interesting part of the Farmer’s Almanac forecast is a blizzard for the east coast on February 1-3, right during the Superbowl. I checked the list of Superbowl locations on Wikipedia, and in forty-eight years, all but two of those championship games were held in the Sunbelt states, precisely to avoid winter storms like this. The first Rustbelt game was held in Indianapolis in 2012, and because Indy has a domed stadium (the Hoosierdome), winter did not get in the way. This time, however, the NFL’s luck may run out; the next Superbowl is scheduled for an open stadium, the NY Giants home field in Meadowlands, NJ. I’m going to go out on a limb and predict this will be the first Superbowl postponed or cancelled on account of bad weather. You heard it here first! Officially I live within the boundaries of Kentucky’s second largest city, but with the nearest farm less than a mile away, we get our share of wildlife in the neighborhood. I regularly see birds, rabbits and chipmunks in the yard; once I saw an opossum on the doorstep; and we don’t have to go far to encounter raccoons, foxes, even deer and coyotes. Leive and I have always preferred unexpected critters outside over concrete and the hustle & bustle of city life; we liked it that way even in Florida, where our house got invaded by bugs, and sometimes by reptiles. On Saturday night/Sunday morning I was burning the midnight oil, here at my laptop, when I heard a strange noise from outside. It sounded a little like some birds fighting at the bird feeder in the backyard. Nothing strange about that, if it happens in the day, but this was the first time I heard anyone out there in the middle of the night. When I looked out the basement door, I saw two skunks under the feeder. Unfortunately (or should I say fortunately?) I don’t have visual proof; they ran away when I tried to take a picture of them. I thought according to today’s culture, Christians are the intolerant ones. When was the last time a Christian tried to destroy/desecrate an atheist memorial, like the grave of Karl Marx? Oregon: Atheist Group Plants Improvised Explosive Device (IED) At War Memorial Cross | The Gateway Pundit. Around here, you can’t go past a locomotive or a railroad bridge that doesn’t have Mr. Corman’s name on it. Railroad entrepreneur R.J. Corman dies at 58 | Business | Kentucky.com.